I love bears almost as much as I love dogs and wolves. I think they're very similar in lots of ways, too. 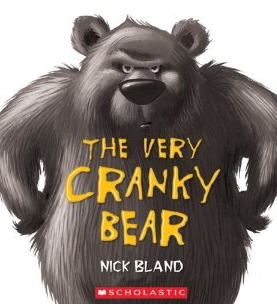 So my choice for Susanna's Perfect Picture Book Friday is The Very Cranky Bear by Nick Bland. Opening Lines: In the Jingle Jangle Jungle on a cold and rainy day, four little friends found a perfect place to play. Moose had marvelous antlers and Lion, a golden maine. Zebra had fantastic stripes and Sheep . . . well, Sheep was plain. Summary (from Amazon): When four friends encounter a cranky bear, they decide they must cheer him up. Moose, Lion and Zebra's outrageous ideas all backfire, which leaves it up to poor, plain Sheep to deal with this beast, who just wants a quiet place to sleep. Whatever will she do? This rhyming story with hilarious illustrations is guaranteed to entertain its readers and its listeners! Why I Like This Book: I love the beautiful brightly coloured illustrations and the bouncy rhythm and rhymes. This book appeals to a young child's sense of humour with it's wacky card-playing animals and their silly plan to cheer up Cranky Bear. 1. He's back!!! But this time the Cranky Bear is itchy. I haven't read this one yet, but I'm sure it's just as good as its prequel. 2. 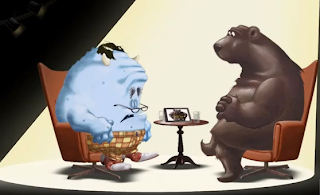 The star of the book agrees to an interview :) Bob Monster, from the Monster Report, chats with Cranky Bear on YouTube (click the image). 3. Here's a very cool app for your iPad or iPhone (click the image). 4. There's lots of good info and photos of brown bears at Sciencing. 5. 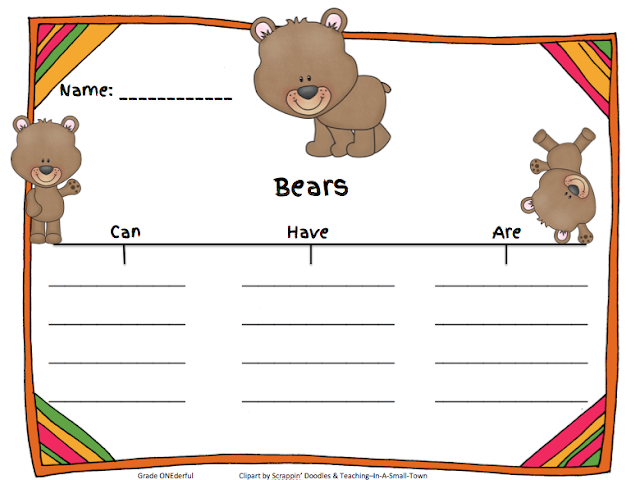 I have some brown bear art projects on this page and here, too. 6. 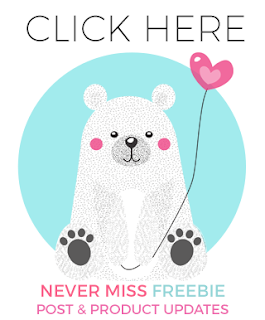 And finally, here's a little freebie for you. Looking for more fabulous Nick Bland books? Very catchy rhyme - what a fun story, Barbara! This sounds very funny. Thanks for sharing! Barbara, love your choices. 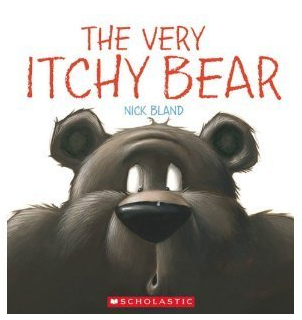 This one sounds like a lot of fun as does the Itchy Bear. It amazes me how many different bear books there are out there. Great choice! What an adorable looking book! Thank you for sharing your can, have, are freebie- I love those! This looks like a fantastic one! I really like the opening and the rhythm. I'll have to check it out. I love books with Rhythm!! I don't know about a cranky bear! But this guy looks pretty funny and if a silly sheep can deal with him, this book must be a fun one! I'll have to check it out! So cute. I love the opening and I'm a BIG lover of rhyming books! Thanks for the review. 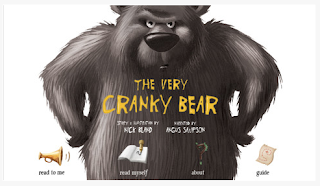 A book with "cranky" in the title immediately appeals to me. (I probably shouldn't think too hard about why that is...) This book looks great. Thanks, Barbara! Looks like another great book I need to buy. Thanks for sharing. My response to this is the same as Jen's. 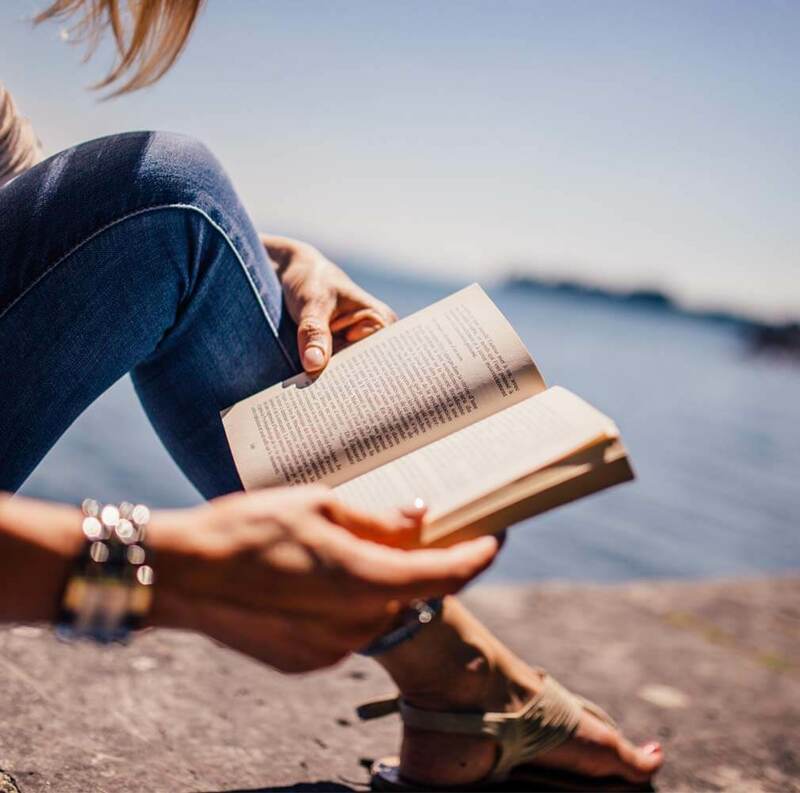 I truly love your posts... but although I do not need anymore books, you always find a way to turn my want into a necessity. This book looks fabulous! Another one in my cart! This bear looks exactly how I felt this morning! I just laughed at the cover picture, just love the expressions on his face. Granky it is...lol. Thanks Barbara.